Messianic, charismatic leaders are hard to come by, but not impossible. Gandhi led what is now a nation of a billion people to freedom. Mandela did the same with South Africa. Of the pantheon of heroes in the American civil rights movement, Martin Luther King, Jr. stands above all. The global environmental movement has never had such a unifying leader. Maybe it's what's needed, particularly since in the U.S., the anti-environmental movement seems to have placed its own Messiah in the White House. One would think that a movement that seeks to challenge so many ills and threats would have an easier time of it. Species and habitat loss, climate change, air and water pollution, declining sperm counts and hormone-disrupting chemicals, vanishing water supplies and a dozen other daunting challenges would be part of an environmental messiah's job description. There's no shame in devoting one's life to a cause while falling short of Messiah status. Dozens of partial Messiahs have risen on single issues: Bill McKibben and Al Gore on climate; the late Wangari Maathai on agriculture; Sylvia Earle on oceans; Lois Gibbs on hazardous waste; and countless Goldman Environmental Prize winners, among many others. Closer to home, Americans see little hope that environmental issues will be more than an afterthought in national politics. 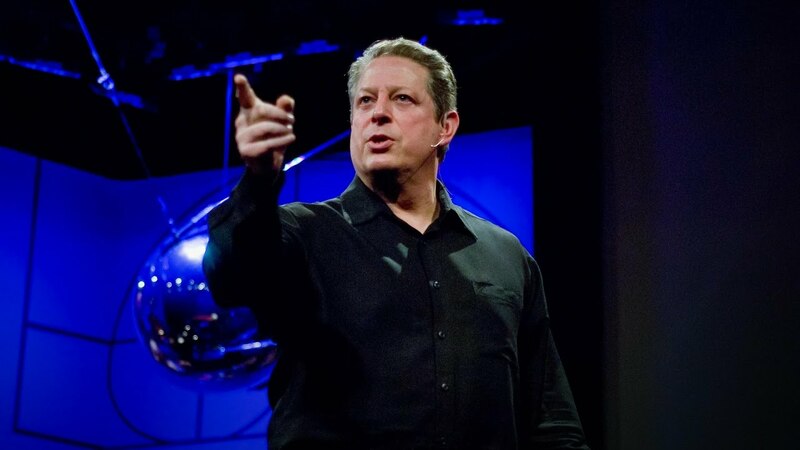 Al Gore left elective politics eighteen years ago; so bleak is the landscape that it's been ten years since a Presidential debate contained a question or substantial mention of compelling issues like climate change, or anything else environmental.. So who else is there? Pope Francis, with his unprecedented environmental encyclical Laudato Si? The Roman Catholic Church gives His Holiness a semi-captive audience of a billion followers. Some big mitigating factors: Not all of those billion are on board; the Vatican is still the world's biggest obstacle to family planning and the Pope continues to spend both political capital and cold cash on the Church's seemingly neverending pedophilia/coverup scandal. Might it be a pop culture giant like Leonardo DiCaprio? Historically, Hollywood's pop culture giants have limited range. Then again, there was Hollywood middleweight turned political giant Ronald Reagan, or climate-smart Arnold Schwarzenegger, a.k.a. Conan the Republican, the former governor of California. How about someone with a seemingly unlimited bankroll like George Soros, Michael Bloomberg, or Tom Steyer? Bear in mind that "charismatic" is part of the equation. These are the options that first come to mind for an aging, retired Catholic American male like me. Hopefully, somewhere in the world, there's a youthful dynamo, possibly a woman or person of color, who's ready to lead a person of pallor like me. If you know someone like that, could you let me know? One final reason why it's urgent to find the voice, face, and reputation to help inspire and lead the world away from climate peril: All too often, the traditional sources of inspiration and political will to prevent environmental disaster has been disaster itself: A flaming river, melting icecap, or vanishing species for whom the political will arrives too late. All too often, we've closed the barn door after the black rhino has left. Wherever you are, green Messiah, we need you.